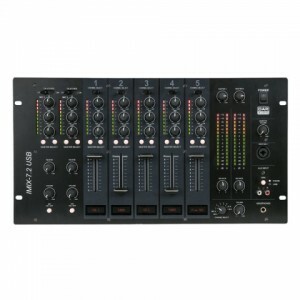 The Compact 9.2 1U installation mixer is built to combine maximum audio possibilities and needs for a pub, school, or public area without scarifying on the ease of use. 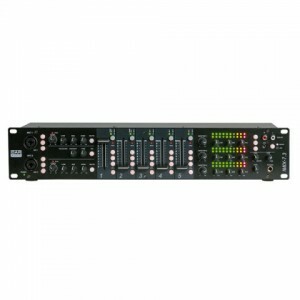 The user can adjust 3 microphone levels and 2 line levels. Both line levels have 6 selectable input sources which are shown on a clear display. On each line input it is possible to select a pre-programmed label which is shown on the display, so there is no need to do difficult programing. This will help users to select the desired source for the desired area, because the Compact 9.2 also has 2 individual zones. All gain, EQ, phantom power and technical settings are on the backside. Once the installer has set everything correctly the user doesn’t need to worry about difficult settings, only volume and source select are available on the front panel. 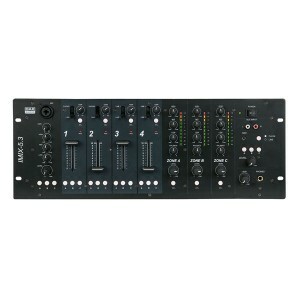 The front panel also has a special input if you like to connect a device instantly. This input can be switched between line and phone mode. The phone mode adjusts the input sensitivity into the correct value for MP3 players, smartphones or tablets. Now you can playback your MP3 devices directly without signal loss. 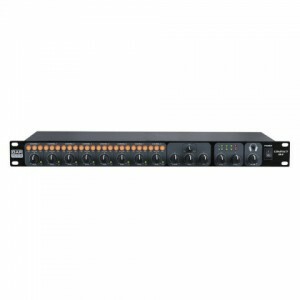 The Compact 9.2 is the perfect solution for situations where non-technical users need to operate professional audio systems.